Joe Bonamassa has reported on Facebook that he is currently writing for the next album. New studio album is due for release in May. 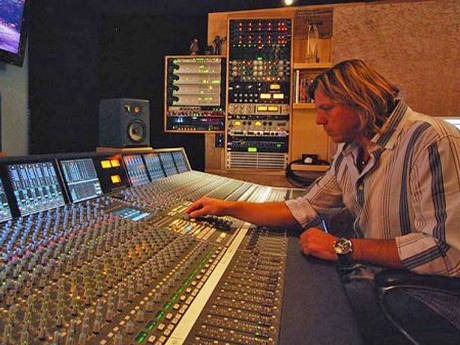 Recording sessions start next week in Las Vegas with Kevin Shirley. 2012 marks Joe’s seventh year working with the legendary Kevin Shirley. More details to come! Next month Joe’s live at the Beacon DVD will be released. Make sure you pre-order and get it before the street date! Name of the Next Album Is? Lucky 13! The creativity of this guy is without any limit. It seems to become a year with a lot of new material : BCC 3, perhaps something together with Beth Hart or even with Sandy… See you in Saarbrücken after Darmstadt, Mannheim (Capitol) and Frankfurt (BCC)! Dear Joe, welcome in Germany, always a pleasure. Tip: If you are near by, visit Heidelberg – a must have , very romantically. P.S. It would be great if the setlist of the Dust Bowl Tour 2012 would be extended by the two fabulous and extraordinar songs “No love in the street” and ” The meaning of the blues”!!! All the best for the Tour. on bluray, with special guests, and a real treat for me on a personal level was to see Joe & Band with Paul Rogers, worth it for the price alone! Hope he has a very very successful year.